A Ockershausen:	This is Andy Ockershausen. This is Our Town. Our guest today is a new citizen of Our Town. He’s a transplant from Boston. He had really big shoes to fill last year, to take over the job as president of the Don Bosco Cristo Rey School. We had a chance to watch him in action last month at the 10th Anniversary Gala for the school – “The school that works.” And I can tell you he has what it takes for the job. Let me introduce you to Father Mike Conway, president of Don Bosco Cristo Rey School. Father Mike is a Boston native and the oldest of eight kids. A Ockershausen:	A great Catholic family. Father Mike Conway:	True, and true. A Ockershausen:	Your family’s all from Boston, or they come from the old country? Father Mike Conway:	No. We’re all from Boston. So, we’re third-generation Irish immigrants. Father Mike Conway:	1876 in beautiful east Boston. Same neighborhood as the Kennedy’s when they came in. How’s that? A Ockershausen:	Yeah, but they left and brought booze back with them. Father Mike Conway:	Well, we probably shared some of that. A Ockershausen:	Yeah, you probably used some of that, Father. You’re a Boston guy, and you’re all the way. What I always am so impressed with, and this is almost universal, is the amount of passion that the Bostonians or New Englanders have for the Sox, the Celtics, the Pats, and the Bruins. There’s a commonality here. These teams are winners. A Ockershausen:	Wait a minute, no, no, no. They’re green, they’re wearing of the green. Father Mike Conway:	They’re wearing of the green, but let me tell you something. If there is a passionate city with sports, it’s Boston. A Ockershausen:	Oh, it is. It’s incredible. Father Mike Conway:	It’s in your blood, and we thrive on hate. See, we love the haters. That’s what makes us so successful. You know, when the Patriots won this past, the haters came out, like, “Oh, just come on, keep it coming.” We thrive on that. That’s what makes us more passionate. A Ockershausen:	It’s all the way, too. That’s what gets me about it. Northside, Southside, Eastside, wherever it is. Father Mike Conway:	All around, man. We’re a nation. It’s the Boston Nation. A Ockershausen:	It is, and it works, doesn’t it? Now, how does it work for your educational needs? Do you have Don Bosco school in Boston? A Ockershausen:	A real tech school? Father Mike Conway:	A real tech school. Father Mike Conway:	And then we had a college prep school where I went to school in East Boston called Saint Dominic Savio. We had two strong presences there. Unfortunately, over the years, as our numbers got smaller, as the price becomes much larger, we had to close both schools. Very difficult. Very difficult. A Ockershausen:	Populations change, of course, Mike. You got your BA at Don Bosco College in New Jersey? A Ockershausen:	And then you studied in San Francisco and came back here. Father Mike Conway:	Well, I had no choice. It’s called the Vow of Obedience. A Ockershausen:	I understand. Is that true of all Salesians? Father Mike Conway:	That’s true of our religious. Our religious have a Vow of Obedience. Obviously, we go wherever superiors tells us. But I had the opportunity, actually, to go out to San Francisco. A Ockershausen:	You can negotiate that, can’t you? Father Mike Conway:	You can dialogue, but when push … That’s it. The boss is the man. I’m not the man, I’m just working for the man. A Ockershausen:	Yes, you are. You’re the man to us, Mike. I mean, your background with Don Bosco, and then you worked at the technical school in Patterson. Patterson was probably a tough post, wasn’t it? Father Mike Conway:	Very tough post. Matter of fact, one of the poorest cities in the country. Still is to this day. We had been there for many, many years serving the immigrant population. Beautiful work, beautiful work. I mean, kids really in need. The vast majority of these kids, they were going into the technical world. Automotive, printing, computers, engineering, so on. Sadly, listen, when you’re dealing with a poor population, you’ve got to have money to pay to be able to do it. It didn’t work out. So, my first assignment, as a principal, was at a closing school. Father Mike Conway:	Not very enjoyable. Not very enjoyable, but a great school. Great school. A Ockershausen:	Patterson’s always stood out to me as a place you fly over. Father Mike Conway:	Pretty much, that’s what it is. A Ockershausen:	Or go by it on the interstate. I never spent any time in Patterson. Then you went to Los Angeles. Father Mike Conway:	No, not Los Angeles. Father Mike Conway:	That’s in New Orleans . . . you know? A Ockershausen:	That’s not bad. You’ve had good jobs. Saint Petersburg. Father Mike Conway:	St. Petersburg is not bad. Tampa, Florida’s not bad. A Ockershausen:	You had Tampa too? Father Mike Conway:	Yes. Absolutely. Absolutely. A Ockershausen:	And these are all under orders? Father Mike Conway:	These were all works that we administered or that we owned. A Ockershausen:	I got you. Father Mike Conway:	So, 27 years I’ve been in schools. Two years, I worked in a boys and girls club in East Boston. That’s what I’ve been doing now, pretty much most of my life. A Ockershausen:	As a Salesian? Father Mike Conway:	Yes, as a Salesian. A Ockershausen:	He’s always been in the order. Has anybody else in your family followed you into the order? Father Mike Conway:	No, no. On my dad’s side, there’s been religious priests and nuns in the past, but I’m the only one. I’m the saving grace for the family, I guess. A Ockershausen:	You’re the white sheep. Father Mike Conway:	I don’t know about that. A Ockershausen:	Well, we’re talking to Father Mike Conway. This is Andy Ockershausen. This is Our Town, and we’ll be back and talk about Don Bosco. Guy: Okay, keep your eyes closed. A Ockershausen:	Alright, this is Andy Ockershausen. This is Our Town. I’m having a conversation, and you’ll listen to a very learned man to talk about Don Bosco and the Salesian Order. Father Mike Conway. Father Mike Conway:	Absolutely, Andy. So, listen, Saint John Bosco is the founder of the Salesians of Don Bosco. A Ockershausen:	That’s about 250 years ago? Father Mike Conway:	1859 was when we were officially recognized by the church and it began, as a young boy, he had an experience where his father died at the age of two. Of course, not having that father figure in his family was very painful for him, and it was always something that he remembered, but he had a very strong mom and a very strong faith. As he grew up, he had this special calling at the age of nine to be a priest. It was a unique dream that he had about being with a bunch of kids on a playground. They’re cursing and fighting, he’s jumping in trying to break it up, to stop them. All of a sudden, this man appears. He says, “No, you can’t do this. This is how you do it.” And the kids turned into wolves, and then they turned into sheep. He didn’t understand it. He goes, “She will help you.” And Mary shows up in this dream and begins to guide him in his fulfillment of his vocation and in leading us to the founding of Don Bosco. The Salesians. A Ockershausen:	He was just a poor boy in Turin, Italy. Father Mike Conway:	Farmer. Turin, Italy, right. Outside the Piedmont area. Yeah. A Ockershausen:	That’s quite an industrial area, isn’t it now? Father Mike Conway:	This is what’s interesting about that. You know, he grew up at the beginning of the Industrial Revolution. So, what was happen is that a lot of the poorer kids in the farms were looking for good jobs to pay for their family. So, they would leave their families, go into the industrial area of Turin and try to find jobs. But they were alone, they had no education, they had no faith, and at the same time, they had no skills. And so they were taken advantage of. So, Don Bosco, when he became a priest, started seeing these kids all over the place and realized they needed someone to help them out. So, he decided to start bringing them together into what we call oratories in which they would gather to play, pray, and to learn a little bit. He did this for a long period of time until he firmly established the foundation in Turin itself, which is a huge, huge place today. It’s amazing. A Ockershausen:	Did he travel all over Italy with his work? Father Mike Conway:	Primarily, his work started in Turin, in the Piedmont area. And then, as his congregation became established, more and more people were wondering about the possibility of the Salesians coming to do some works. So, they began to open up schools and parishes, and they expanded to France. But the first missionary work was actually in Patagonia in Brazil. Don Bosco always wanted to be a missionary, but he couldn’t go. So, Salesian’s first missionary experience was into Brazil. If you go to Brazil today, Brazillia is actually where Don Bosco started. There’s a huge church. . .
A Ockershausen:	You were saying that they’re all over South America. Father Mike Conway:	The largest missionary order in the church today. A Ockershausen:	Now, where did the name Salesians come from? Father Mike Conway:	Salesians come from our patron saint, Saint Francis de Sales. His spirit of joy, of being very much down to earth and very simple in his lifestyle was really where it came from. He had a beautiful way of dealing with people that was very homey. He wanted to bring that spirit into him. He used him as an example for us to establish from. It’s funny because visitation sisters are actually our cousins. We call them kissing cousins because they were founded by Saint Francis de Sales. So, part of their spirit is actually related to ours. A Ockershausen:	It’s part of the Salesians. Father Mike Conway:	Yeah. There you go. A Ockershausen:	Of course, it’s spread dramatically worldwide in the last 200 years. Father Mike Conway:	Yeah. When you realize how young the order is, its growth has been absolutely phenomenal. When you consider that, say, the Jesuits today have 17 or 18 thousand, we have 16 thousand, and yet they’re so much older than us. I think part of that is because of the attraction of our work. We work with poor and abandoned youth. That’s our primary mission in life. Whenever you work with the poorest and the neediest, especially the young, people feel compelled to want to come in and do something, particularly when you give them an education, or particularly when you give them a safe environment to be able to grow and to really flourish. I think that’s what’s captivating about it. A Ockershausen:	And your track record is fabulous with the Salesians. Father Mike Conway:	It’s been very good. We’ve been blessed. A Ockershausen:	In my early, earlier memory of the order of the church, there were teachers, and there were founders, and there were explorers. The Jesuits were world-class explorers. They put their stamp all over the world and then they turned into teachers. But the Salesians have never done it like the Jesuits have. Father Mike Conway:	No, we never did. Like I said, we started in Italy and gradually, as our congregation became known, our work became known, people started asking more about it. So, bishops throughout the world started reaching out to us and saying, “Could you come in and do this?” Interestingly, here in the states, we’re known for our high schools. But the vast majority of the world that we serve, we’re known for agricultural schools or technical schools or the trades that we bring in. So, if you go to Africa today, our biggest contribution is in those areas of developing those skills that they need. A Ockershausen:	You’re really teaching. Father Mike Conway:	Absolutely. I mean, real life skills that they can take with them. A Ockershausen:	That’s amazing. Hear all this, it’s so important to hear about Salesians and Don Bosco. We’re going to be right back. We’re going to take a break now, talking to Father Mike Conway. [Commercials] Attorney Mike Collins:	Maybe your kids are about to graduate from college or even get their graduate degree, or you’re looking forward to retirement, finally. Don’t go another day without getting your legal house in order. This is Attorney Mike Collins. Let me show you how to get a basic estate plan in place that will protect you and your loved ones in the years ahead with our trademarked Reservoir Trust. All I ask is two hours of your time. Check the mail for your special invitation and register now at mikecollins.com. I’ll even waive the tuition. That’s mikecollins.com. 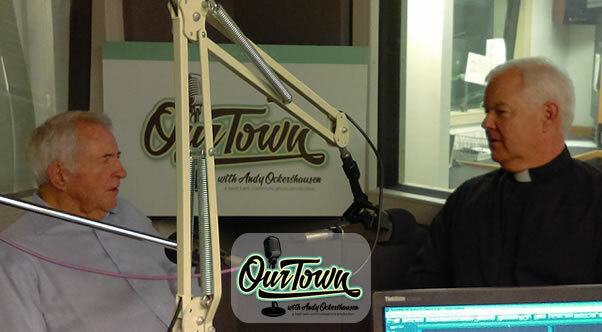 A Ockershausen:	We’re talking to Father Mike Conway about the fabulous, fabulous thing that’s happened to our community. Mike, 14 or 15 years ago my wife said to me, Janice said to me, “There’s a new school coming, and I want to get involved in it, and I want you to get involved in. It’s going to be in Takoma Park.” I said, “Who in the world would start a school in Takoma Park, number one. Number two, we’re loaded with schools. We’ve got a lot of good Catholic schools. I know most of them.” “This is a different school. This is the school that works.” I had no idea what she was talking about. The rest is my history with you, Mike. Father Mike Conway:	Absolutely. So, 2007, one of the most amazing works in our community began. Prior to that, the Archdiocese of Washington came to the Salesians in New Rochelle, New York, which is where our headquarters is, and asked about the possibility of venturing into establishing a new type of school that, up until that time, was only about nine years old or so. It’s called a Cristo Rey School. It’s a unique school in which the Jesuits started in Chicago in 1996 with Father John Foley. The Archdiocese of Chicago was having a hard time keeping their schools open. Their immigrant population, their poorer communities, were taking the hit because of the fact that they couldn’t keep their schools open because it was too expensive. Father Mike Conway:	Right, absolutely. It’s all about money. I hate to say it, but it is what it is. But at the same time, they came up with this unique model that would allow the kids to come to the school, get a college prep education, but also do so at the same time by working in the real world. A Ockershausen:	That is incredible, when I found that out. Father Mike Conway:	Absolutely. Absolutely. And what’s amazing is that these kids are able to afford to come to the school because they work in a real job in the corporate world, getting hands-on experience about what it means to be successful in the real world, but also bringing in money to offset their tuition. Now, who would have ever thought about a high school kid doing something like that? But they’ve been doing it now for about 21 years, this year. 21 years this year. A Ockershausen:	It’s worked so very, very well. And in theory, it’s just great. My experiences through the business community, not through the school, and to hear the people that hire your children or our children … It’s amazing. They’re the best. They don’t want to lose them. When they go back to school, they say, “No, no, you can’t do that.” I hear that all the time. Father Mike Conway:	It’s really great. What’s really awesome is that our school can only be as successful as the corporate partnerships that we have in the community. That’s extremely important. So, as many jobs that we have, that’s as many kids as we can take. Unfortunately, we can’t take all our kids. So, we’ve turned away 150, 175 kids a day a year, because we don’t have enough jobs for them. For us, that’s the linchpin. That’s what makes us different from any other Catholic high school in this community and around the country. A Ockershausen:	I’ve never heard of it before. Father Mike Conway:	What’s amazing is that our mission is very focused. If you can afford to come, we can’t take you. We have people that actually come that … Four kids, makes 120 thousand dollars. We can’t take them because our mission is primarily to the economically disadvantaged in the community. A family of four that makes an income of 35,000 or less. Now, when you think about the cost of a school today, it’s impossible for them to get that type of education. But this model allows them to do so. What’s really awesome is that the vast majority of our kids that come to us, they’re going to be the first-generation immigrant community to go to college. A Ockershausen:	That’s what I find is so amazing about your school, our school. Father Mike Conway:	Listen, the one way out of poverty, the one way to advance yourself, is with education. That’s what’s essential. We try to make that happen. One of the greatest stories about our school and about all of our Cristo Rey schools is that every single graduate since our first graduating class in 2011 has been accepted to college. Every one of them. Father Mike Conway:	This year, we have 97 seniors, all of them accepted to four-year colleges. Five, this is the first time ever, five of them were accepted into Georgetown, with one on a full ride. For us, it’s a huge accomplishment. It’s a huge accomplishment, but even more so if you look at the statistics from our first graduating class in 2011. 84% of them have graduated from college or are still enrolled. Now, statistically, that’s mind-boggling, because the general population, it’s in the 50 percentile. A Ockershausen:	And you’ve got another, I don’t know what the percentage is, but almost all of these kids, after they finish college, find a place in the workforce. They are able to support themselves in a work role. Father Mike Conway:	Well, when you think about it, Andy, they have a legitimate four-year resume working in the world. What company would not want a motivated high school kid who has a great college prep education, that has four years of experience and is ready to go? Ready to go. There are college kids today that can’t even match that. Can you imagine? A Ockershausen:	That is the beauty of the whole thing. These kids are so important to the community now, too. I’ve met several of them that come back to the parties and so forth, they’re all so well turned out, and you can sense that they are very confident. Boy, is that important in the job world. Father Mike Conway:	Let me just tell you something. What’s amazing is that the majority of the kids that come to us don’t come from the Catholic schools. The vast majority come from public and charter schools. Unfortunately, those kids don’t come in with a very strong background in regards to their education. They’re two or three years more behind in reading and math. So, they come in with a learning curve. They come in with a lack of skills in what it means to study and what those things are important for them. So, from day one, we begin to impress upon them what they need to be successful. How to dress for success, how to greet someone at the door, how to go on the metro and get to their job every single day. Basic soft skills that many of us grew up having, that we knew because our parents taught us that or we had experiences. These kids never had these experiences. And so, during those four years, they’re gradually building those experiences that allow them, at the end of their four years, to go out into the world already knowing what to expect and how to do it. That, for us, is huge. Our job partners in the community are key. When they partner with us, they’re not just hiring a kid. They’re changing a kid’s life. But at the same time, they’re an extension of our classroom. An extension of our classroom, because the supervisors there and the employees that work around them are actually modeling and witnessing to what it means to be successful. The kids pick this up and they begin to realize, “I can do this. I can be successful because if they did it, I can do it.” We’re blessed. We have about 110 different corporations and partnerships here in the area. A Ockershausen:	Oh, that’s a wonderful thing. Father Mike Conway:	110 job partnerships, which are essential. We’re talking about the federal government, the county government, law firms, hospitals, architectural firms. It’s phenomenal. And all of them, everybody, it’s absolutely huge. A Ockershausen:	Builders, developers, I know. Father Mike Conway:	These people are instrumental because we cannot work, we cannot be the school that works unless we have those partnerships. A Ockershausen:	Mike, it’s so inspiring to hear about it and to see it and to feel it. One of the things I was told, Janice reminded me, you have kids from 53 zip codes in your school. That is an incredible fact. Father Mike Conway:	It is amazing. You know, we live in Takoma Park, and we have very few from Tacoma Park coming to the school. Father Mike Conway:	These kids come in by bus, train, car, every single day, from 52 zip codes. What’s amazing is that 85% of them are immigrant families. They’re all Hispanic. They all come from Central America. They’re fleeing oppression in El Salvador. They’re looking for a better life. Many of their parents have never had an education. So, this is their first time having that. When you consider what they come in with this dream, with this desire to better themselves and their families … Man, if you take those kids, and take that passion and desire, and put them in our environment, amazing things happen, and they do every single day. A Ockershausen:	They’ll be tough competitors in the job market. Father Mike Conway:	I hope so. That’s what we want them to be. That’s what we want them to be. A Ockershausen:	I know you do. Father Mike Conway:	No doubt. A Ockershausen:	I’m so impressed at the ceremonies, particularly graduation, to see the families almost invariably in tears that they’ve never had a graduate in their family. They’ve never gotten to have this opportunity. It blows my mind. Father Mike Conway:	The best experience my first year was what we call signing day. That’s when, usually in college, kids have their signing day for what college they’re going to go to for sports. We have signing day to celebrate the top ten of our kids and where they’re going. What it is, it’s a reveal for number ten in the class to number one in the class about where they’re going. I’m sitting there at the altar in the church where we had the ceremony, and this kid comes up. Raymond is his name. Simple soul. Very awkward socially, but loved by his peers and a great smart kid. He gets up there, and I’m sitting there. Before he reveals where he’s going, he points to his mom, and he goes, “This is for you, Mama.” I’m like, “You’re kidding me.” And he reveals that he’s going to Catholic University. I’m crying like a baby, because the passion that was there with those kids, honoring one another, and the families there seeing this … Andy, it’s unbelievable. This year was the first year that we actually videotaped it. I said, “We’ve got to capture that.” That moment is so real and genuine. It’s so powerful that it’s unbelievable. It really is. A Ockershausen:	And the list of schools, and from the day one that I saw the list, it’s incredible. No public school can match that. That’s what my feeling is. Father Mike Conway:	Oh, absolutely. Let me tell you something. What’s really awesome is that the Cristo Rey network, nationally, has partnerships with local universities and colleges throughout the country. So, they know our kids. They work with us to help our kids to get in. Locally, what are our top schools? Georgetown, Catholic University, Marymount, Trinity, Maryland, Bowie. All of these schools know our kids, and they work with us to get them in. Not only in, but through. A Ockershausen:	Through the school, keep them. A Ockershausen:	Life is coming up. You have to face it. Father Mike Conway:	Absolutely. Absolutely. A Ockershausen:	Well, Mike, it’s just so inspiring. I know from the internal part and listening to Janice, and what it means, I think we’ve adopted Don Bosco. Well, at least we go along with this idea of the school, the community that I hear about, and the business community. I wish they would stand a little taller, but that’s a process that goes on, and it always will, Mike. Nobody has it perfect, unfortunately. Father Mike Conway:	No, no. I mean, listen, we have our struggles too. We know that. We’re dealing with kids, and so we understand that, having worked with adolescents for 27 years, they have their successes, they have their failures. We work with them to overcome those obstacles. Let’s be honest, it doesn’t always work. We have to be upfront about that. A Ockershausen:	You can’t have 100%. Father Mike Conway:	That’s what life’s about, also. Absolutely, yeah. A Ockershausen:	Well, Mike Conway, what you’ve done is so incredible. You’ve had the backing of the Salesians, which is powerful. You’ve had a backing of being a Bostonian. What could be worse than that? Father Mike Conway:	Worse? I’ve got it good. I’ve got it good. Listen, we’ve got it so good that we opened up a second Cristo Rey school in Tampa. A Ockershausen:	Did you? Oh, my. Father Mike Conway:	Yes, just this year, we opened up. So, we’re very excited about that. A Ockershausen:	It’s just incredible what you guys have done. Janice has pointed out things …. She tells us what to do. Might as well put it in there, because stays up there forever. Once it’s there, you never can do anything with it. Father Mike Conway:	We know. If anybody wants to learn more about the school, if anybody wants to partner with us in helping our kids, we’d love to have them first and foremost visit the school. Listen to me, I am convinced that if you walk in our door, you’re going to leave a different person, and you’re going to believe it. It happens every single day. A Ockershausen:	I believe that. I insist everybody’s got to see this school. Father Mike Conway:	But if you want to learn real quickly, go online, www.dbcr.org. There’s a tremendous amount of information there, and there’s a great little video that explains how our work study program works, also as well. A Ockershausen:	But that’s not as good as feeling it. Father Mike Conway:	Oh, you’ve got to feel it. Because you know what? We don’t do it. The kids do it. A Ockershausen:	The kids are marvelous. A Ockershausen:	The first day we walked into it, meeting the kids was what it’s all about. A Ockershausen:	Father Mike, you are a jewel. Father Mike Conway:	Thank you, Andy. A Ockershausen:	You are a great addition to our community, and I hope you can last, because I know it’s exhausting. And it’s not Tampa, and it’s not South Florida, but we want you to stay here. Father Mike Conway:	If you could do something about the traffic, I’ll be a hell of a lot better. A Ockershausen:	There was a learned man, said, “Make all the city streets one-way, and when all the traffic’s gone.” Mike Conway, thank you so much. Father Mike Conway:	Thanks, Andy, it’s been a pleasure. A Ockershausen:	This is Our Town, this is Andy Ockershausen. Had a wonderful, wonderful conversation about Don Bosco. Thank you, Mike. Announcer:	You’ve been listening to Our Town Season 2, presented by GEICO, our Home Town favorite, with your host Andy Ockershausen. New Our Town episodes are released each Tuesday and Thursday. Drop us a line with your comments or suggestions. See us on Facebook, or visit our website at ourtowndc.com. Our special thanks to Ken Hunter, our technical director, and WMAL radio in Washington DC, for hosting our podcast. And thanks to GEICO. 15 minutes can save you 15% or more on car insurance. Well done….I was so happy to be able to hear this interview. I am Fr. Mike’s Mom and I have seen their school and the students first hand. Let me tell you, it is so moving to see and hear the students and the teachers all caring & loving of one another; just like a family!! Thank you for sharing this with us and well done, Fr. Michael!! Love you. Thank you, Betty, for your comment and for Father Mike! He is a gem and Our Town is very lucky to have him here! Good evening, Father Mike… You don’t remember me but I will always remember you. I went to Highland school in Reading, Ma, as did you. You were one of the new neighbors on Highland Street and I have always thought of you and your whole family so fondly. You and your family invited kids over to go swimmimg or we all went to the Sullivan’s for our pool time. You were such a big part of my adolescence and I will never forget you. Be well, Fr. Mike. Even as a kid, you cared about others before yourself and you had a presence, even as a 6th grader. Thank you for being in my life.